southern orders : I DON'T LIKE STARBUCKS AND I NEVER WILL AND NEVER GO AND NEVER WILL! I DON'T LIKE STARBUCKS AND I NEVER WILL AND NEVER GO AND NEVER WILL! 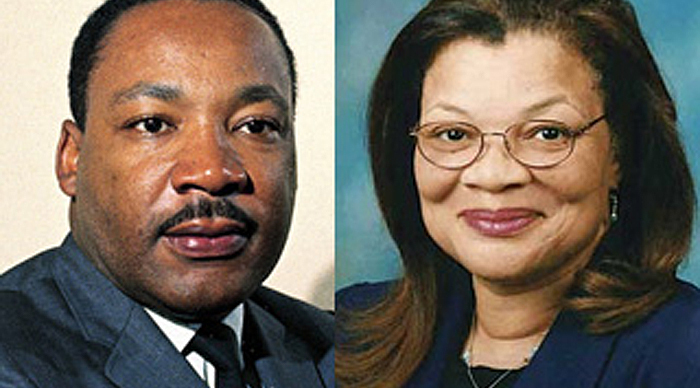 Civil rights leader and pro-life activist Alveda King says Starbucks is missing an important part of its racial bias training by not addressing its partnership with Planned Parenthood. The abortion corporation receives funding via Starbucks matching gifts program, but King says that’s still too complicit with the abortion giant. Abortion is a leading killer of African Americans, and Planned Parenthood was founded by eugenicist Margaret Sanger, in an effort to weed out what Sanger deemed “the unfit” members of society. Just frequent chic fil a, you can't go wrong, don't go to any of those others either. Shows how evil corporate America is. On the other hand, if the Church in USA were serious about defending innocent human life, she would have your lists posted at the back of every church for which companies to boycott. Wow, that’s quite a list of companies supporting the primary means of limiting increases in the number of blacks in our society. Why such universal agreement on this objective? Right. One might not be able to boycott everyone but boycott the ones you can and shop as little as possible in the other ones. Starbucks, or any of the trendy politically correct establishments pretending to be churches is repulsive. Starbucks is also one of the few coffeehouses of its kind, and so I support them for their business and not their moral agenda. Given a choice, I’d rather support an independent coffeehouse. Too many businesses are pretending to be churches. Father McDonald, where do you shop, if not at Kroger, Public, Sam's Club, Wal Mart or Winn Dixie? Is there a Piggly Wiggly left in Richmond Hills? Piggly Wiggly, Harris Teeter on Hilton Head where I take my day off and retirement looms. Others shop for me and I don't ask questions. If you support businesses that support or promote the NRA, you're also part of the Culture of Death. Dunkin’ Donuts has better coffee than Starbucks at half the price. Guns in the hands of good citizens preserve Western Civilization. Without them, the savages and the outlaws would run amok with impunity. Third World interlopers would invade the country (as they are already trying to through illegal immigration) and despoil it of its wealth and riches. The nation would be attacked from within by thugs and lawless minorities who hate Western Caucasian success and wealth, as well as the culture that arose from it. If you have any awareness at all, you should learn to shoot and carry concealed everywhere it is allowed. The NRA is a bastion against the "culture of death" because it keeps the savages from killing good people. NRA members are law abiding citizens who do not engage in drive-bys, gunfights at basketball games or in the parking lots of dives and rap nightclubs, or shootouts at drug deals gone bad. Liberals are too copulating stupid to comprehend this. After all, they are now defending MS 13 and terrorists, saying they would prefer their daughters date an MS 13 or terrorist member than a Republican or a conservative. This is how psychotic the Trump victory and his subsequent reforms have made them. At a Walmart parking lot where every pickup sports a gun rack with a loaded rifle, you're not being to be a mass shooting victim. No chance. For sure, at my local Walmart, any aspirant mass shooter would be riddled before he could get off enough shots to qualify for the publicity he craves. And I suspect a couple of the ushers at the Mass I attended today were carrying, so we were probably safe there too. My lists of names of those companies supporting Planned Parenthood wasn't about supporting abortion. Nor is it about the race of the aborted babies. When someone launces into a "We Must Boycott Company X Because They Support Abortion" you have to stop and consider whether or not 1) the boycott will have any impact and 2) whether you are going to employ the boycott against other companies that do the same. It's easy to "boycott" Starbucks, especially for those of us who are not coffee drinkers. Try to get Cisco, Unilever, Prudential, MasterCard, VISA, and American Express out of your lives. And if you are sitting using a computer you are contributing to the profits of Microsoft. Gene: How are your precious body fluids holding up? Pretending that the NRA is pro-life is pretty much exactly the same as claiming Planned Parenthood is anti-abortion. Grass is blue, sky is green, etc. etc. The best and more effective strategy (other than a full-on organized boycott) is for enough people to write to the CEO and Board of Directors of these companies. Anonymous @# 5:11: What in the Hell are you talking about? Same old abortion supporting priest. Planned Parenthood = Planned Abortionhood. Margaret Sanger referred to Blacks as weeds. This whole boycott thing seems very silly. Let us assume, for the sake of argument, that Catholics (and other like-minded Christian denominations) are encouraged to boycott Starbucks and all the other businesses that in some way, shape, or form support Planned Parenthood (which, we should also remember, does a whole lot more than provide abortion services). And let us assume further that Starbucks and other businesses succumb to this economic pressure out of concern for their bottom line. How long would it be, do you suppose, before the pro-choice movement called for all of_its_supporters to boycott Starbucks and the other businesses until they reinstated their support for PP? This coercive cycle promises to go nowhere fast. There has to be a better way. The problem with coercive measures generally, whether they be legal or economic, is that they provide externally driven motivations whereas what is really needed is internally driven motivations. The real battle is for hearts and minds and not for mere outward conformity, which is very much a second best option and very likely often to result in resistance of various kinds. For myself, I will continue patronizing Starbucks. I like the coffee (especially the new smooth Blonde roast) and the ambiance, and I enjoy being around the baristas and the other patrons. I make no secret of the fact that I am a practicing Catholic and when it seems appropriate, I try to prudently engage people in conversation about my faith. Perhaps this makes no difference to anyone except me, but it seems like the right thing to do. This said, the kind of consciousness raising that Alveeda King engages in seems exactly right, as does the conclusion of her piece: “We’d be happy to sit down with you to discuss racial justice over a cup of coffee” (one assumes, in Starbucks). What am I missing? If I am wrong in my attitude and approach, I trust that someone here will tell me. TJM - You used your computer to reply. Hence you are supporting abortion by supporting Microsoft. Oh, have you cancelled your credit cards yet? I guess as a Catholic priest who upholds the sanctity of human life will be permanently off the internet since he certainly would not want to imperil his soul and scandalize his flock!!! I am skeptical that it is possible for an individual to boycott commerce to affect a large organization like Planned Parenthood. What if the employees of Hobby Lobby each, as individuals, gave money to Planned Parenthood? It is estimated that as many as 80% of Catholics support abortion on demand, so would we boycott the Church of donations? Certainly 'boycotting' an event held at Starbucks on behalf of Planned Parenthood, or even a coupon 'rebate' program that will give a portion to Planned Parenthood makes sense; that actually provides meaningful feedback to the corporation. Otherwise, I am not convinced it has any real impact.